David Rose (left) and Paul Jennings (right). LONDON--(BUSINESS WIRE)--ACE Europe (ACE) (NYSE:ACE), has announced the appointment of two senior management positions in its Birmingham office to drive the growth of its operation in the Midlands. Paul Jennings has joined as Property & Casualty Manager. He is responsible for the expansion of ACE’s Property & Casualty business in the Midlands. Paul has over 20 years underwriting experience and previously worked for Oval and Willis. David Rose has joined as Business Development Manager and is responsible for ACE’s broker development within the Midlands. David joins from Zurich, where he was Senior Account Executive, responsible for national broker development. 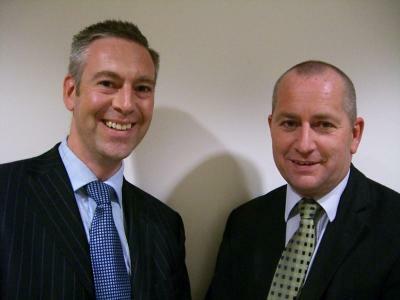 He has also held a number of positions within the Midlands broking community.